Bill Daul is a world-wide consultant and business relationship strategist, and has been instrumental in the formation of a large number of successful business partnerships and collaborations over the years in Silicon Valley and beyond. Bills skills are particularly attuned to discerning the highest-leverage way to combine innovative technologies with people and organizations who can bring these emerging ideas to market. Typically this involves bringing CEO-, CTO-, VP-, Senior Fellow- level people together to create new business models and fresh strategic approaches. Bill opened up a number of new business relationships for Herriot Research, an adjunct to Bios Group, Inc. of Santa Fe, including IBM, Catarra Inc. (was SoftSource Corp), Mithya Inc., SelfCorp, etc. His efforts are enabling Herriot Research to open new channels and markets. Bill has a special talent for taking valuable tacit knowledge in an organization and making it explicit, so that it can serve as the foundation and stimulus for further innovation and value. This is the art of company self-renewal  critically essential for the long-term survival and vitality of all growing organizations. At IdeaRhyme, Bill’s vision is to build organizations through stronger relationships, both internally and externally. Bill has leveraged his longstanding ties to computer industry legends such as: Vinton Cerf, co-developer of Internet-related data packet technologies for DARPA; Doug Engelbart, creator the mouse; the Bootstrap Institute; and Ted Nelson, designer, generalist and contrarian, known for coining the terms "hypertext" and "hypermedia; Paul Saffo legendary futurist; and others. In 2008 he created a three-day Innovation Forum for members of the Pentagon here in Silicon Valley. Bill has held positions at a wide variety of high tech companies, including Sun Microsystems, Informix Software, McDonnell-Douglas Corporation, Tymshare, and the United States Geological Survey. In all of these positions, Bill took a leadership role in helping organizations reach new levels of innovation and success by forging unexpectedly powerful creative links to other people and organizations – often in different fields, and highly synergistic. Founder of NextNow Network and Nosostros Salon, bringing together groups of visionaries these groups of visionaries were selected to meet regularly to explore and transcend creative and intellectual boundaries -- from the past...to the here...to the next now. Once again, as is Bills passion, he created a crucible for new and productive ideas though making business and professional connections. Nosotros and more recently NextNow have lead to a number of new startups and business partnerships. He was an inspiration in the founding of NextNow Collaboratory with Claudia Welss (Executive Director). In 2001, Bill brought together a number of thought leaders in the field of learning to co-found the Meta-Learning Lab (MLL). The MLL is dedicated to increasing people's capacity to learn, thereby improving the performance of individuals, groups, and organizations. 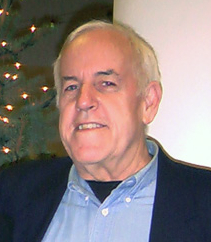 Bill is member of Douglas Engelbart's pioneering research team at SRI - International, and has been affiliated with the Bootstrap Institute since 1988. Bill was also a member of the South Bay Organizational Development Network for 10 years, and the Society for Organizational Learning, West Coast. He is also was a member of the Electronic Multi Media Foundation (EMMA). EMMA Foundation encourages the creative, technical and professional development of digital media on a world-wide basis. He is also a member of the ANZA Technology Network www.anzatechnet.com) is a non-profit organization based in San Francisco, California with the primary focus on developing a strong network of Australian, New Zealand and US technology companies, service providers and executives whose joint purpose is to develop business between the US New Zealand and Australia. He is also a member of Australian-American Chamber of Commerce. He is a staff member of the Silicon Valley Innovation Institute (svii.org). He is currently a consultant to Operational System, Inc. out of Longmont, Colorado. Finally he was a team member of Teams for Tasks, an Australian-based Northern Territory group that mainly centers on people, communication and change. James said of Bill that he is the world's greatest social networker. "Bill Daul is 'human glue,' helping to connect people with people,information, and businesses that are relevant and important to their individual efforts." "Bill Daul was a pioneer in knowledge management, before it became a trendy term. He has great experience in actually doing knowledge management on a large scale, not just talking about it. He is a wonderful contributor to groups." "Bill Daul has an uncommon talent for connecting people. I know of no one else who listens and assesses people as well as Bill. He takes what he learns and applies it to matching up interests, ideas, talents and personalities. Every time I'm with Bill he makes my interaction with a group more valuable by ensuring that I meet and talk to the right people. The interesting thing is Bill is doing the same thing for everyone else at the same time." "Bill Daul brings curiosity, openness and warmth that makes him a trusted ally and friend for one and all. Bill is unique in his capabilities to listen, follow and see the connections between various themes, ideas and opportunities that exist (but hidden) in our conversations. If you are looking for people who can communicate, connect and evangelize what you do effectively with important thinkers, researchers and futurists, there is no better person than Bill that I know of. He knows technology inside out and is the best 'human glue' I ever came across and highly recommend him." He’s all about manifesting an idea in the clouds from his robust imagination and bringing it to reality. Amazing. I think Bill is on some type of “spirit walk”. Instead of going into the wild to find his manhood, he risks to believe he can live from his value as a person and his contribution to others success. I believe the choice to live in financial ambiguity and be OK with uncomfortable is advanced be-ing. I think it takes real courage to choose to live from your gut. He has the belief (hope) that in doing good works that all will be provided. An explorer of value and co-creation, an inspiration to many.